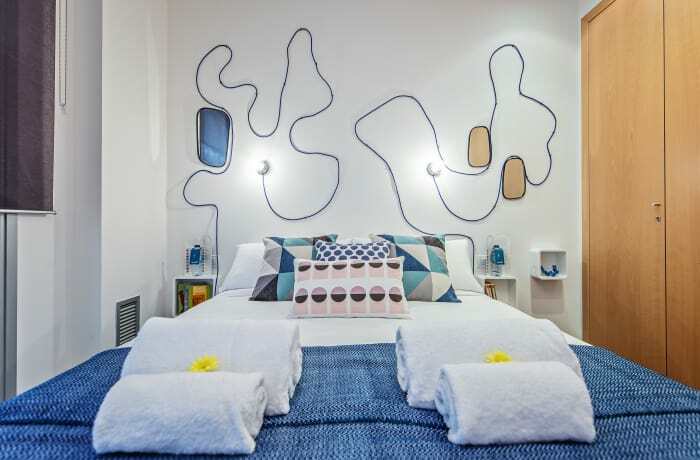 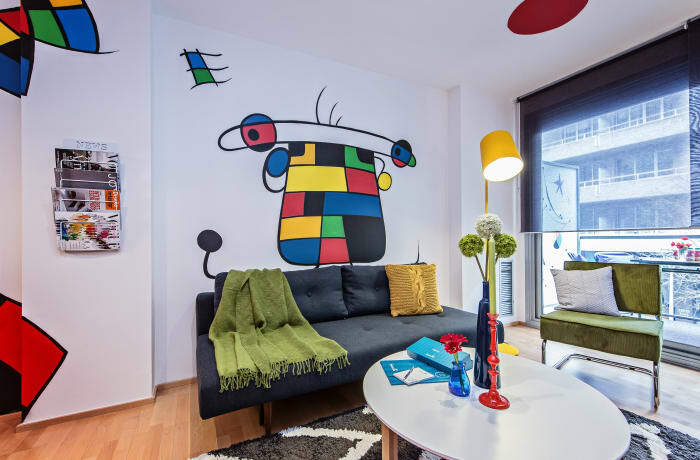 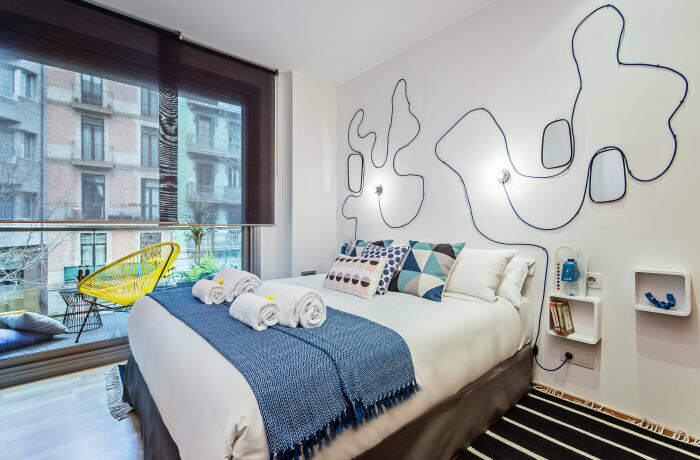 Sample Barcelona’s colorful charm in Calabria I, a 2-bedroom vacation apartment in the bohemian Sant Antoni-Eixample district. 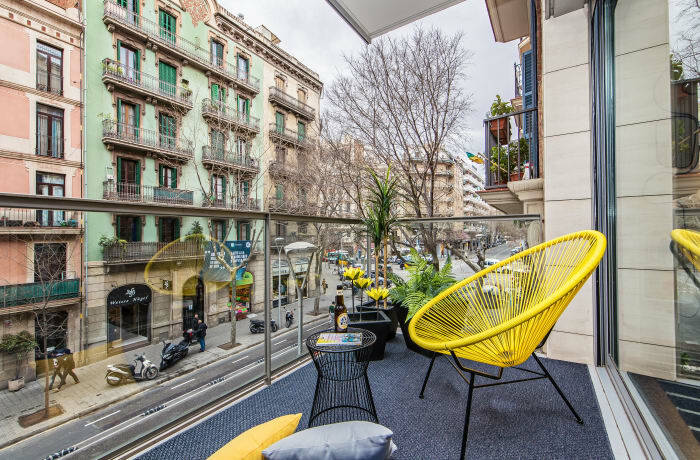 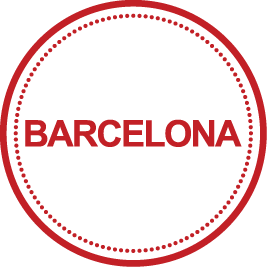 The neighborhood is a magnet for artists, foodies, and young professionals; the vintage boutiques of Paseo de Gracia and the upscale Gran Via Avenue are only a 5-minute stroll away. 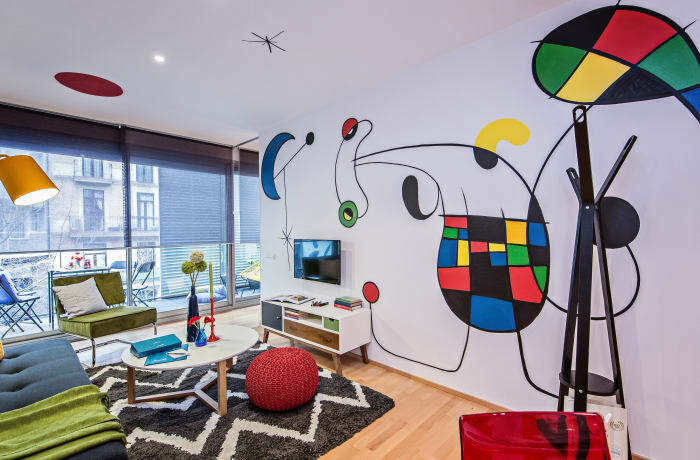 Explore your creative side at the Museum of Contemporary Art (19 min. 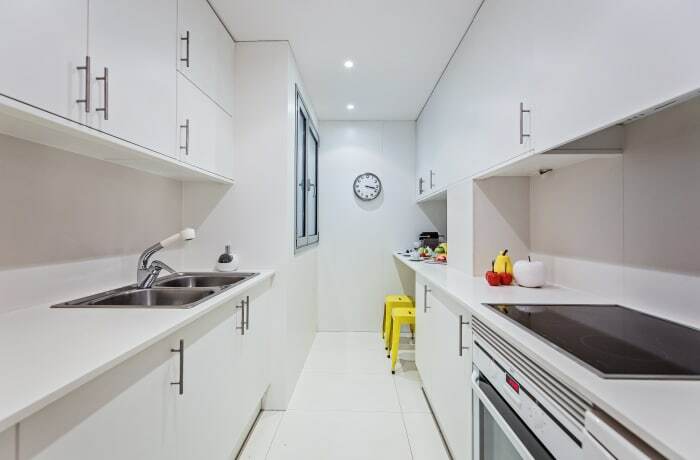 walk), or wander through the many parks and sculpture gardens right at your doorstep. 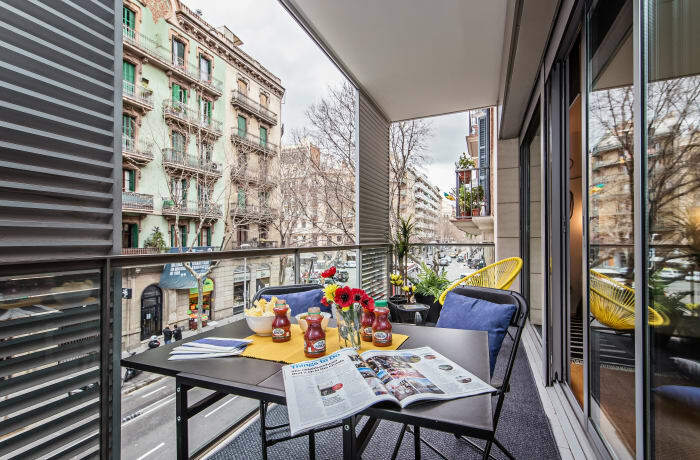 The Rocafort metro station is close (4 min). 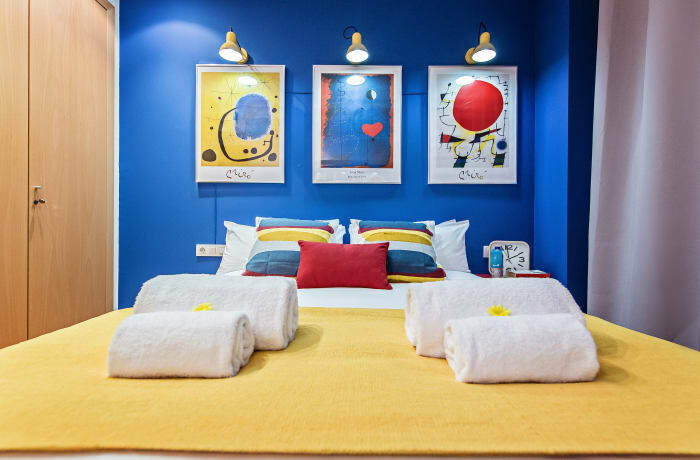 In a restored 19th-century building, our local interior designer has created a bold, colorful space sure to win you over. 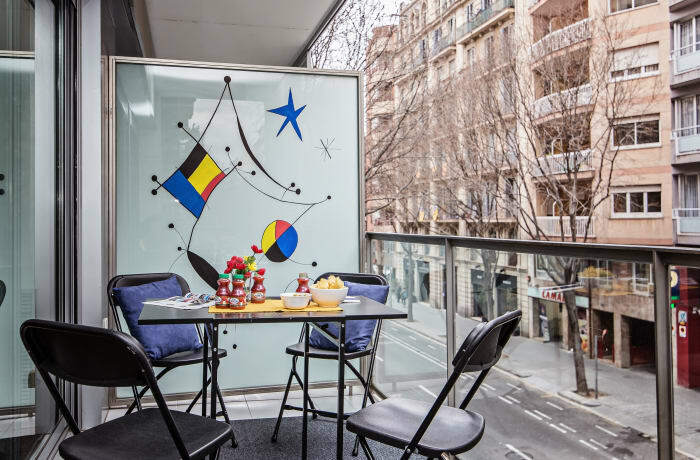 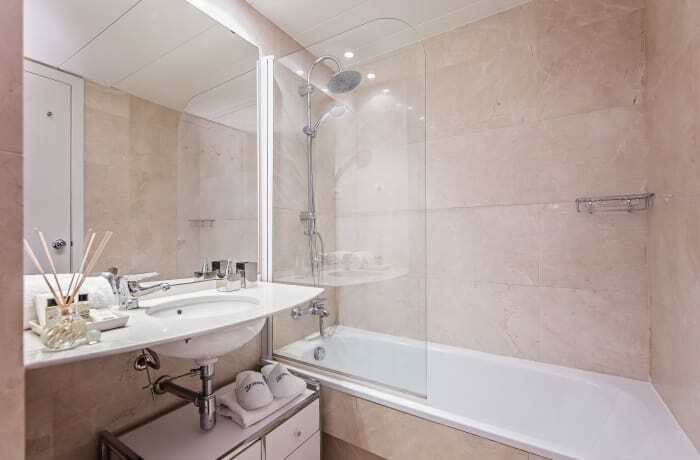 With a recently renovated kitchen, spacious rooms, elevator access, and a charming terrace, the apartment is the ideal place to relax and revive in the heart of Barcelona. 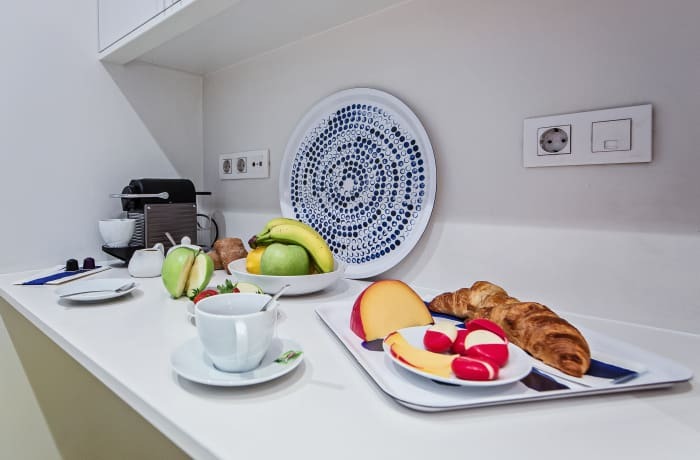 The apartment’s many premium amenities include free WiFi, cable TV, high-end toiletries, hotel beds and linens, and a Nespresso machine. 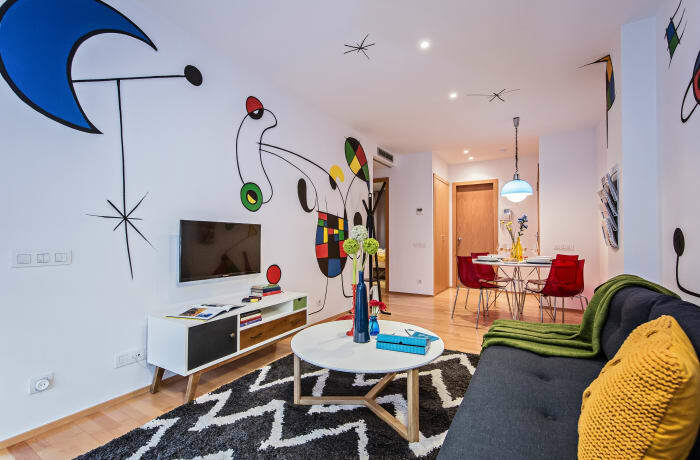 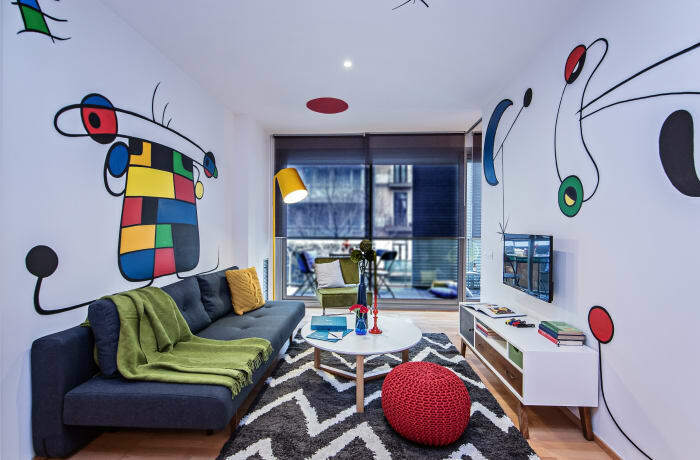 Perfect for families or friends, this lively apartment will give you an authentic taste of the city.